A lovely elgant fabic with a silver metallic spot woven through. Woven in the UK and made with a buttonhole to secure to your shirt and a hook and loop fastening with plenty of adjustment. 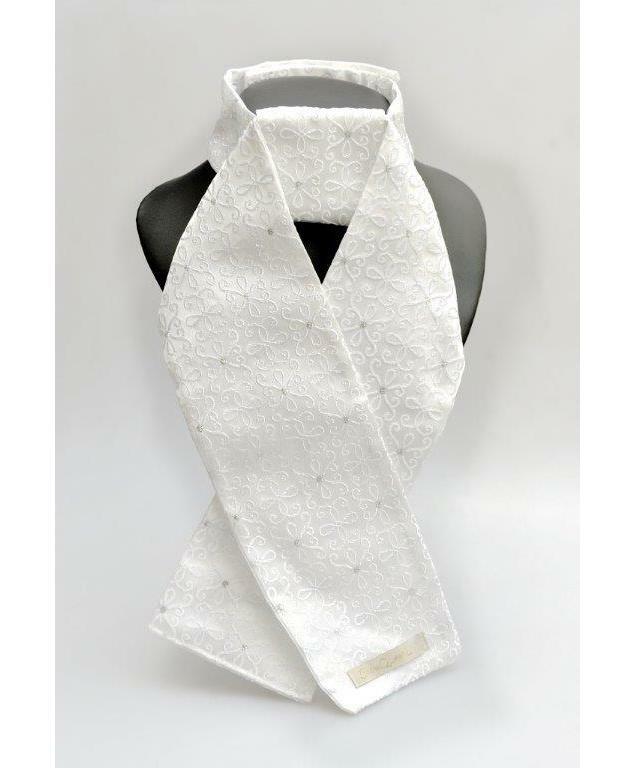 the neck piece is shaped for a confortable fit, the front of the neck has a loop through which the tie is fitted making the stock easy to wear. One Size.